Gerald checking his ’56 for nicks and scratches. 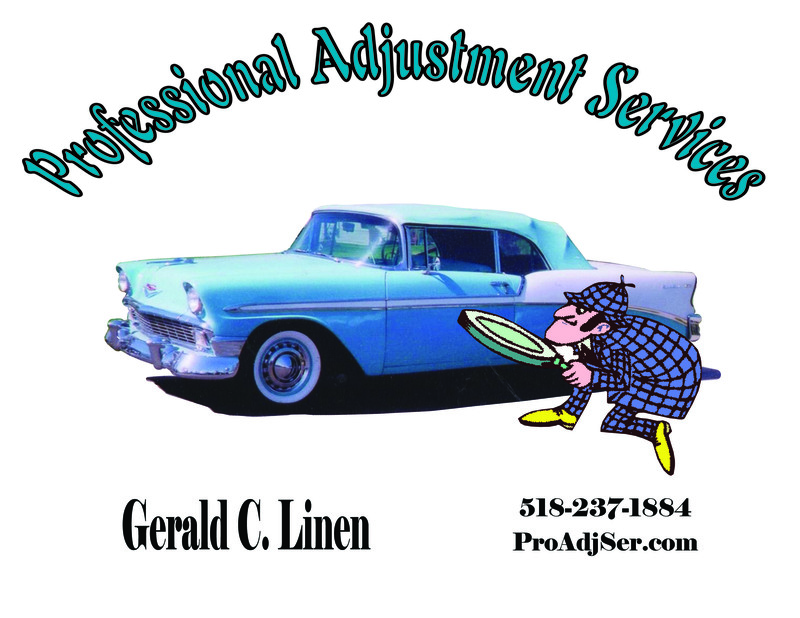 GERALD C LINEN, is the owner of Professional Adjustment Services, and has been a NYS licensed automobile appraiser and adjuster since 1988. 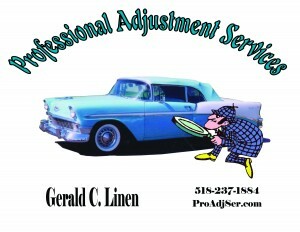 Gerald is an obvious choice to provide vehicle appraisals and evaluations. He is a member of, and a senior judge for AACA, the Antique Automobile Club of America. Since founding Professional Adjustment Services in 1993, Gerald has worked as an appraiser-consultant, providing appraisals to individuals, banks, insurance companies, attorneys, and courts of law. He has performed numerous evaluations of antique, classic, muscle, street rod, one-of-a-kind and special interest vehicles. He has also provided information for court proceedings to substantiate appraisals and evaluations. Mr. Linen was chosen to do an evaluation of one of the largest private collections of over 300 classic, one-of-a-kind, and unique vehicles, in upstate New York. From 1988 to 1993, Gerald worked as a subcontractor for major appraisal companies such as Wahl Eastern, Crawford & Company, GAB Business Services and Express Claims Services. Gerald performed collision damage appraisals and total loss evaluations on automobile, heavy-duty trucks, and off road equipment. From 1975 to 1988 Gerald was president of a major local auto body shop that specialized in collision repair and antique automobile restorations. Gerald has also completed a two year apprenticeship degree program for auto body repair and frame straightening. Gerald works for you. He will give you a fair appraisal, not only in dollar value, but also as to vehicle condition. And he will tell you why he thinks the vehicle is a fair deal, a good deal, a great deal, or a dud deal.